Photos are now available at www.facebook.com/dancescapetv. Video highlights can be seen by visiting the CHCH Television “Morning Live” website. Thanks to instructors Veli Bachvarova, Nelia Cabral, and Audrey Sobarum for leading students through danceTONE Belly Dancing, Cha Cha, and Salsa/Zumba. Thanks to students who made it to the studio bright and early: Matt & Carmen, Roya & Alex, Fan & Hong, Todd, KiAnne, Mel & Lynn, and David. 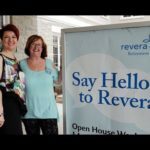 Special thanks to Lynn Radake from Sweets & Treats for catering breakfast, Deborah Reilly-Smith, and last but least, Event Manager, Radhika, for coordinating the event. 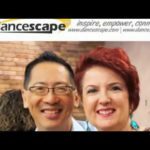 danceScape is a provider of dance-based Lifestyle programs. The dance company’s mission is to inspire, empower, and connect people who have a passion for Dance and the Creative Arts. Located in downtown Burlington, they offer Dance Fitness programs such as danceTONE and Zumba, and Couples Workshops in Ballroom Dancing and Club Salsa/Latin. They recently launched a “LifeSTYLE Seminar” Series featuring guest speakers that share personal stories and tips about Health and Wellness.Robert Tang & Beverley Cayton-Tang are former 3-time Canadian & 2-time North American Amateur Standard Champions, as seen on CBC Television’s “Dragons’ Den”, Oprah Winfrey Network’s “Healthy Gourmet”, and ParticipACTION Canada’s “Get Inspired. Get Moving” television campaign.